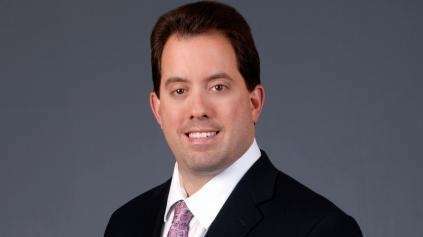 TAMPA -- Kenny Albert's Stanley Cup playoff travel adventures have become a spring tradition of sorts, but the Rangers' radio/NBC TV announcer might have outdone himself over the past five days. The plan always had a high degree of difficulty: Radio in New York Saturday, TV in Anaheim Sunday, radio in New York Monday, TV in Anaheim Tuesday, radio in Tampa Wednesday. But things got a tad more challenging when the Blackhawks and Ducks played three overtimes Tuesday in Game 2 of their Western Conference final. Albert originally was scheduled on an 11:45 p.m. Pacific Time flight to Tampa through Miami, figuring that would work even if the game went one overtime, and perhaps even if it ended early in the second. So much for that. But he knew that there were two later flights to Miami out of LAX, at 12:30 and 1:05 a.m. So after the second overtime he was switched to the 1:05 red-eye. Albert made that flight -- which was packed, by the way -- made it to Miami around 9 a.m. and landed in Tampa at 11:04, just under nine hours since the winning goal was scored and in time to make it to the end of the Rangers' morning skate at Amalie Arena. Numerous journalist friends -- many of whom were unable to stay awake until the end of Tuesday night's game while watching him on TV -- greeted him warmly before coach Alain Vigneault's news conference. Albert said that he got two hours' sleep on the plane and hoped to take a quick nap before Game 3 of the Rangers-Lightning Eastern Conference final. How was he feeling? "Wide-awake," he said. How would he be feeling when the puck drops around 8:15 p.m.? "Hopefully wide-awake," he said. Well, at least he had no travel plans for Thursday, meaning he could go to bed early and catch up on sleep at last, right? Actually, he probably will be going out to dinner with his wife, Barbara, who flew to Tampa Wednesday for a quick reunion. "We've barely seen each other for the last six weeks," he said.